Ever had a Shrimp Tempura from the fancy Japanese restaurant or even a Japanese fastfood place? You might think that they are hard to make because a few pieces will cost you. On the contrary, they are quite simple and easy to make. A good tempura has to be crispy even long after they have been fried. Using just a tempura batter will only keep it crunchy while it's still hot. The batter is just slightly seasoned, salt is sprinkled in the end once the shrimp is taken out of the oil, like how you would french fries. I use both cornstarch and all purpose flour for the batter. The cornstarch gives it the crunch and will not leave the coating too cakey. So, how do you get the shrimp straight? 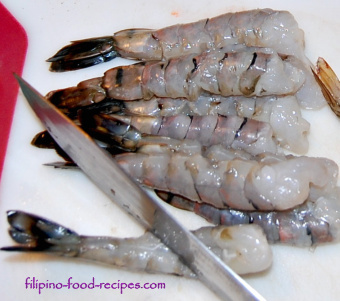 A slit on the underside at an angle(about 45°) will prevent the shrimp from curling. 1 Mix together the batter ingredients and place inside the refrigerator while the shrimps are being prepped. 2 Slit the underside of the shrimps at an angle to make them straight. Set aside. 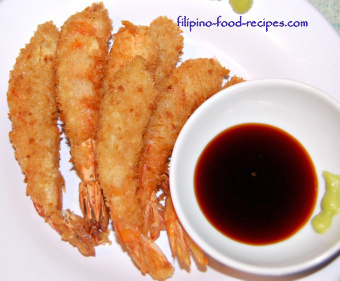 3 Take out the batter mix from the refrigerator and dip each shrimp, then dredge in the breadcrumbs. Repeat for all the shrimps before you start frying. 4 Heat up the cooking oil using medium low heat and drop the shrimps one by one without crowding them in the oil. 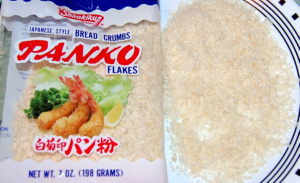 No Panko breadcrumbs? Use any dried breadcrumbs, or make your own by toasting loaf bread(Tasty bread) slices in 300°F; for 10 - 12 minutes or until dried but not browned. 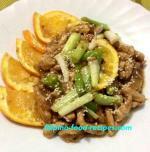 Shred or pulse in food processor and use. Once you dredge in breadcrumbs, make sure you pack the crumbs tight onto the shrimp to keep them from falling off during frying. To devein or not to devein the shrimp? I usually devein large shrimps and prawns because I don't want to see the black intestinal tract when I eat them. That's just a personal preference. You don't have to do it if you are not bothered by it. Pair your shrimp tempura with Vegetable Tempura since they use the same batter ingredients.